As I peered out my bedroom window I noticed that a wheelbarrow had been moved from the driveway to underneath the tree on our front lawn. This was not the first time I had noticed that gardening tools had been moved around and between you and me I started to think that the house we had just bought, was in fact haunted. Thinking I was going crazy, I told my husband Seamus to see if he had noticed anything peculiar and as I suspected his response was “ Ash, wise up! Your away with the birds, there is not a ghost in our garden” and that it must be my overactive imagination getting the better of me, once again! The following week we came home from work early on a Friday evening and to our surprise, all the flowers in our garden had been pruned to perfection. I instantly chirped up, “ I told you, Seamus, we have a ghost gardener lol….” This could have an upside, I chuckled to myself as it will save us a fortune lol... As I stepped out of the car to examine the workmanship, I noticed an older gentleman working happily away round the back of our house, cutting down one of our rose bushes. At first, I jumped as he startled me, but as he turned his head the fear left me in an instant, as the man standing in front of me had a warm smile that would light up a room and eyes that were gentle and kind but I must add had a hint of mischievousness about them. “Hi, I’m Peter, your neighbour, I’ve been doing this garden for over 50 years and I hope you don’t mind if I continue to do so,” he stated as causal and cheery as you like. 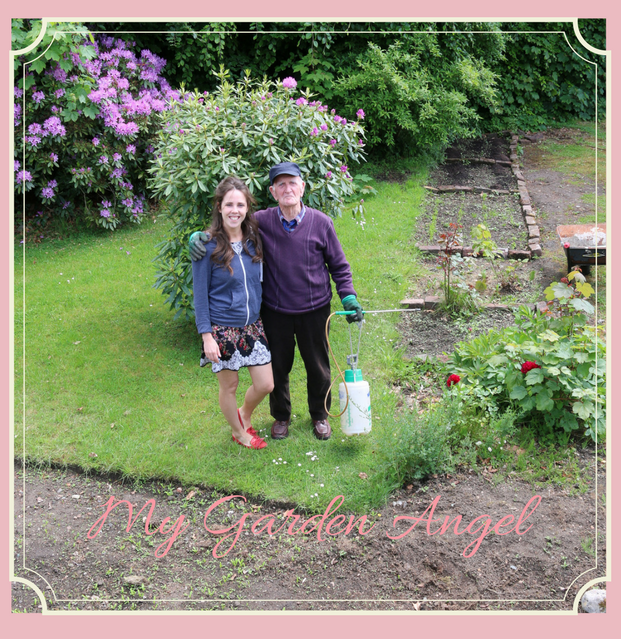 It was in that moment, although I didn’t realise it at the time, I had just met my very own garden angel and a man who I am now honoured to call my friend. That afternoon we chatted like old friends and we instantly clicked. He told me he had tried to catch us a few times but we had been out at work and he wanted to welcome us to the area and told us of his delight that a young couple had bought the house and hopefully we would bring some life back into it. It was like taking a trip down memory lane as he informed me of the history of the house and about all the characters that had past its doors. 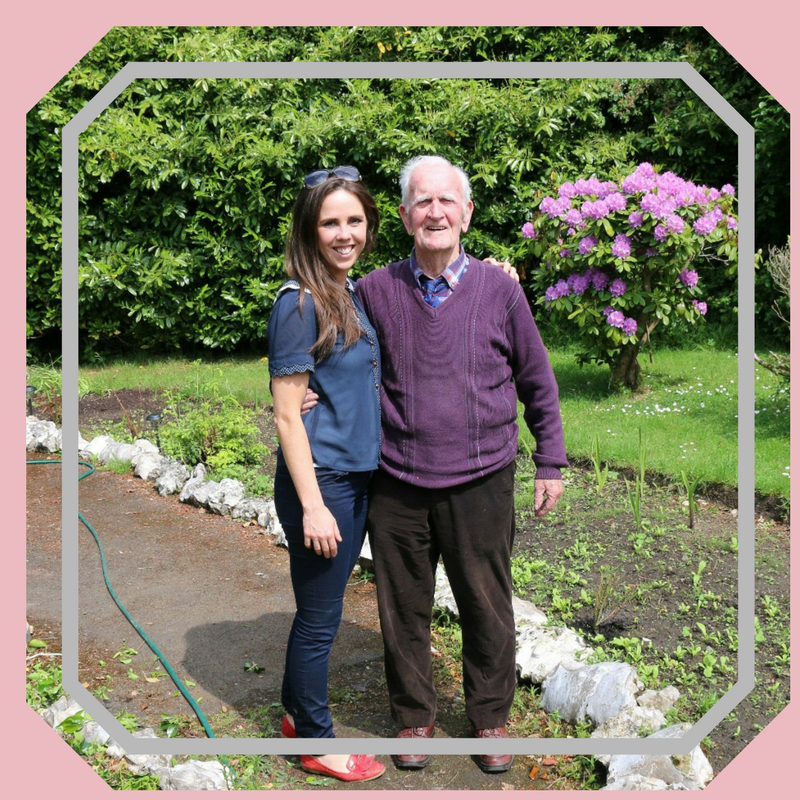 As we walked around the garden and he showed me trees that he had planted himself when he was a younger man and showed me the roses that Minister McClure had grown decades before. He told me about his own life and how he had proudly raised 16 kids. He spoke of his dear wife Lily and how she one of a kind and that he would have loved me to have met her. Peter is now 91 and he still comes over every week to our house and I have to admit we are yet to put our own bins out, as he has it all under control. The summertime is when I see Peter the most and he never leaves our house without telling a yarn or a joke and if your lucky enough you might even get a wee song, I could truly listen to him all day. Peter has given me lots of advice over the years but the most important being that we must enjoy our life together as husband and wife. He told me the house will always be there, so make sure that it’s not all work and no play and that we may not know it now, but this really is the time of our lives. He made me promise to cherish these moments even if it is just planting a few potatoes together in the garden and I hope that we are. I have many memories of Peter over the past couple of years, but the one that sticks with me the most is the day I left Lyntara to get married. As I drove down the lane of our house, I quickly caught a glimpse of Peter standing proudly at our gate. As the wedding car pulled out of the driveway on that cold Decembers morning, I can remember looking out the back window of the car at Peter. He lifted his cap and kind of did a little roll with it as though he was bowing and as his cap returned to his head he had the biggest smile on his face and with a wave, I turned the corner and he was out of sight. I will never forget that moment; he reminded me of one of those gentlemen from an old black and white movie and I thought to myself I was so lucky to have a friend like him as he truly is in one in a million. Looking back he was so right, getting married and starting to make our house into a home has been the happiest time so far in my life and if God is good, long may it continue. I often think of the way my own grandparents grew up and hearing stories of their neighbours and close-knit communities. They all looked after each other and took a genuine interest in eachother lives whether it was sharing a pint of milk or bringing over leftover stew. Unfortunately, life isn’t like that anymore, it’s so fast and insular. Sometimes, we should take stock of those around us and I am so delighted that Peter has taught me that important life lesson. I have to say the world would be a much richer place if we all had neighbours like Peter Toal and I am so blessed that he is mine. Peter sharing his years of knowledge and expertise!